David Edwards was born in Shaw, Mississippi in 1915, the son of a sharecropper, the grandson of a slave. As a toddler he earned his nickname "Honey Boy" from his sister, who told his mother to "look at honey boy" when he stumbled as he learned to walk. His father played guitar and violin in bars, and bought his son a Sears Roebuck guitar for under $10 from another plantation worker. From the age of nine, “Honey”, worked on the plantations picking cotton by day and learning to play the guitar at night. When “Honey” was 14 he left home to travel the South as an itinerant musician with bluesman Big Joe Williams. He hoboed across the Delta with a guitar playing for nickels. During this time, he met and played with many of the leading Delta bluesmen, including: Charley Patton, Tommy Johnson, Son House, Johnny Shines, Rice "Sonny Boy Williamson" Miller, Howlin' Wolf, Peetie Wheatstraw, Sunnyland Slim, Tommy McLennan, Lightnin' Hopkins, Big Walter, Little Walter, Magic Sam, Muddy Waters, and the legendary Robert Johnson. After spells in prison “Honeyboy” decided to return home and there he teamed up with the harmonica player Big Walter Horton, and later Robert Johnson. Now known for his intricate finger-work and bottleneck-slide guitar, Alan Lomax recorded fifteen sides of Honeyboy's music for posterity for the Library of Congress in 1942. 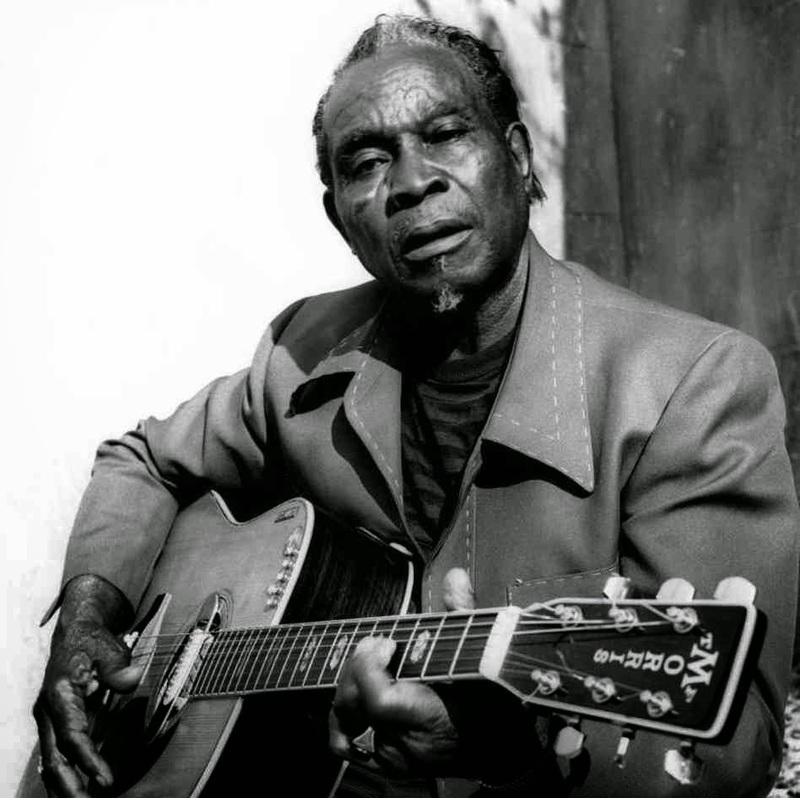 Like many other Mississippi blues men, he made his way to Chicago in the early 1950s. There he worked as a factory machine operator and building labourer, and at night played the blues in Chicago’s clubs and in the open-air market on Maxwell Street. During this time, he played with Floyd Jones, Johnny Temple, and Kansas City Red. In 1951 he cut "Build A Cave" as 'Mr. Honey' for Arc Records and "Who May Your Regular Be" as Honeyboy. In 1953 he recorded “Drop Down Mama” for Chess Records. Although he never attained the fame of Muddy Waters, Willie Dixon or his other blues contemporaries he did enjoy the patronage of the new age white blues men of the British Invasion and enjoyed novel international popularity through their recordings. By the late Sixties he appeared with Willie Dixon and Buddy Guy on sessions that produced the two-volume album Blues Jam in Chicago, by the British rock band Fleetwood Mac. Honeyboy Edwards became a popular performer on stages around the world. By the 70s he formed the Honeyboy Edwards Blues Band, with Michael Frank (harmonica player) who later became his manager. Honeyboy’s album I've Been Around was released in 1978 on the independent Trix Records label by producer/ethnomusicologist Peter B. Lowry. When Michael Frank later founded Earwig Records in 1979 Honeyboy and his friends Sunnyland Slim, Kansas City Red, Floyd Jones, and Big Walter Horton recorded "Old Friends". Edwards had photographic memory and enjoyed telling biographical stories between songs at his shows. He published his autobiography, The World Don't Owe Me Nothin': The Life and Times of Delta Bluesman, in 1997 which is now considered a definitive social history of the Delta Blues genre. Undimmed by age, “Honey” continued to perform and tour up until 2011, until illness forced him to stop. Later the same year David Honeyboy Edwards died from heart failure.